Cast iron door stopper with cat figurine. 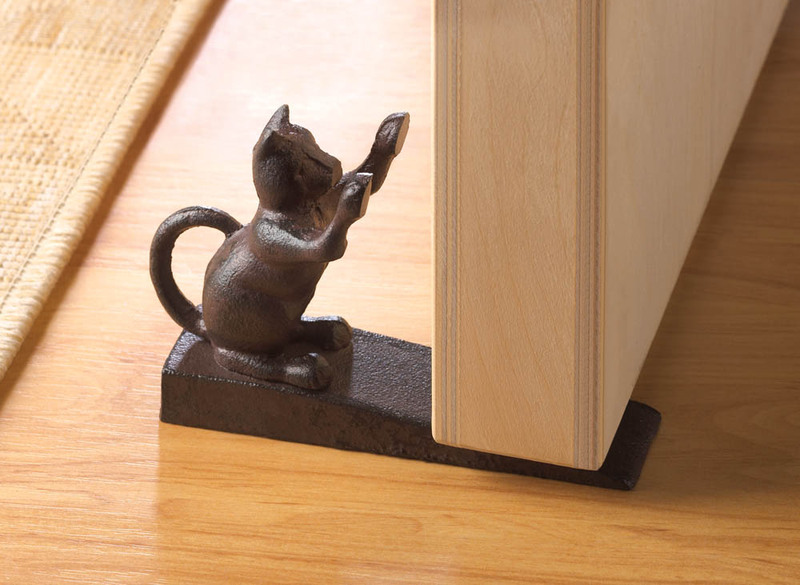 He may be using your door as a scratching post, but he�ll be a welcome addition to your home. 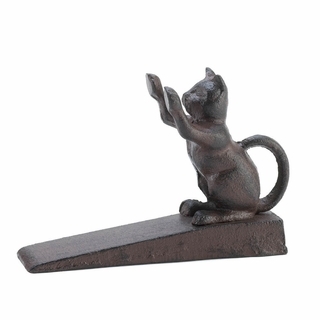 Use him to prop open the door as you carry groceries inside or to let some fresh air in! Item weight: 1.2 lbs. 5 5/8" x 1 1/2" x 4" high. Cast iron. UPC: 849179016036.